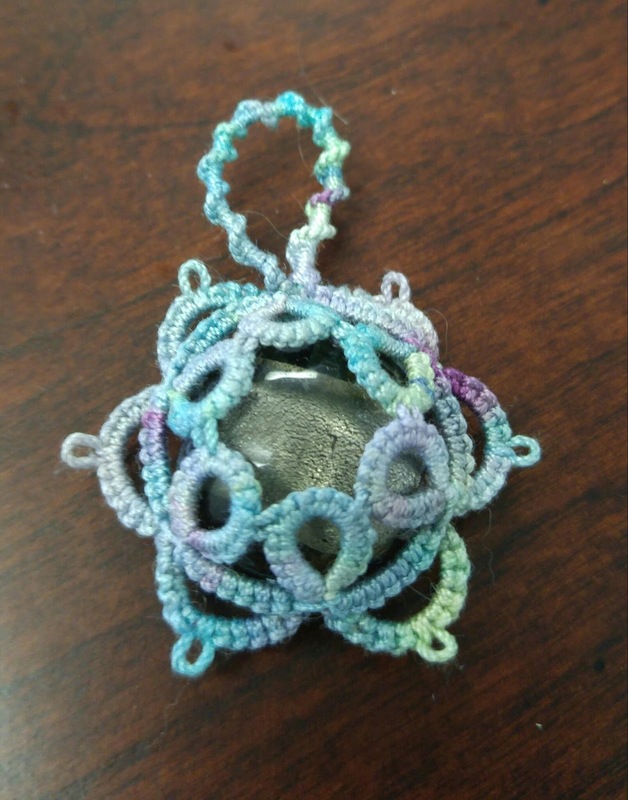 Diane of lace loving librarian posted a tutorial on how to make her ice drops. Basically you capture the stone in lace. This has always been something that seemed too fiddly to me. I did not have much success in the past with attempting a pattern. So I was happy when Diane posted a turorial and I was actually able to do it without too much trouble. The thing to note is that pictures really don't capture how pretty the ice drops are in person. Great job! I'm quite envious that you did this already! I am trying to find some time to concentrate on this! Diane did a wonderful tutorial and so generously shared it! I got some crystals yesterday, can't wait to try them! Great Job Vicky. I must try this too.